Women's platform heels from See By Chloé. 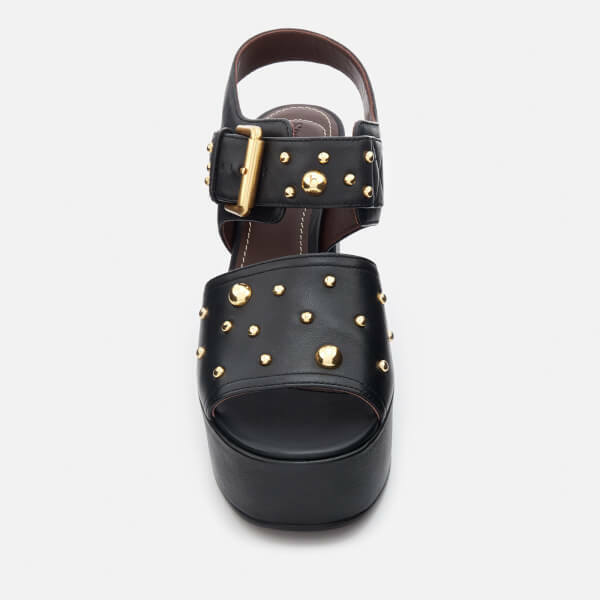 Crafted from supple lamb leather, the chunky heels are embellished with gold-toned studs and feature an open toe and adjustable buckle strap ankle fastening. Set upon a platform sole and chunky 4.5 inch heel. Heel Height: 4.5". Platform Height: 1.5".